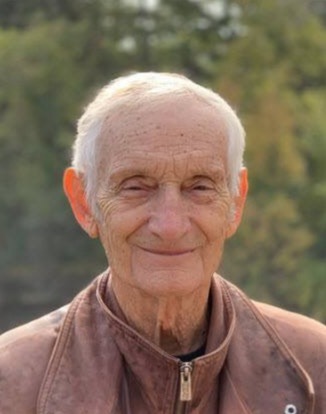 Obituary for Robert Weber | J. H. Lynner Co.
Robert Weber passed away Wednesday, November 14, 2018 at his home at the age 87. Memorial services will be held on Sunday, November 18, 2018 at 1:00 PM at Hazel Run Lutheran Church with Pastor Cody Mills officiating. Visitation with the family will be held on Saturday, November 17, 2018 from 5-7 PM at Hazel Run Lutheran Church with a prayer service beginning at 6:30 PM. Visitation will continue one hour prior to services at the church on Sunday. Robert Donald Weber was born on August 20, 1931, in Palmyra Township, Renville County to Wilhelm and Janette (Wenz) Weber. He was baptized at First Lutheran Church in Hector on October 11, 1931, and confirmed at Our Saviors Lutheran Church in Bird Island on May 19, 1946. Bob attended country school. He left at age fifteen to attend agriculture schooling in Morris, MN and joined the Navy a few years later. Bob served in the Navy from May of 1951 to April of 1955 on the USS Shadwell during the Korean War. He was very proud of his service to our country and was awarded a Good Conduct Medal and a National Defense Service Award. He also wrestled while in the Navy and almost qualified for the Olympic wrestling team. After his service, he went back to school at the University of Minnesota-Morris and also attended Dunwoody College of Technology in Minneapolis. Throughout his education, he received many certifications such as electronics, radio and television, master-level boiler operator, and many more. He met Sandra Marie Rupp, and they were united in marriage on October 8, 1960, at Hazel Run Lutheran Church. Together they had five children: Hollis, Todd, Kyle, Tanya and, Roberta. Bob was always a hardworking man whether it was at work as a Plant Engineer for Parker Hannifin where he worked for 31+ years, or on his farm working with his crops, cattle, and horses. He was truly devoted to his wife, his faith, and his family. He made sure to be at every event to support his children and grandchildren, and always checked in on them daily. Bob also loved spending time in New London at his cabin on Lake Andrew swimming or relaxing on the pontoon. He was a member of Hazel Run Lutheran Church and the Granite Falls American Legion Post #69, where he served on the Honor Guard. Bob was incredibly witty. He was warm and never treated anyone as a stranger; he was exceptionally generous, and was a caring and loyal man. Bob and Sandra shared a beautiful 58-year love story. Even as Sandra’s health has faded, his love and loyalty remained steadfast. He will be deeply missed by all, but most by his wife. Bob is survived by his children: Hollis (Vera) Weber of Hazel Run, Todd (Diane) Weber of Watson, Kyle (Pam) Weber of Granite Falls, Tanya (Tim) Yerigan of Granite Falls and Roberta “Bobbie” (Tim) Alcorn of Granite Falls; 22 grandchildren; and 16 great-grandchildren; as well as other extended family and friends. He was preceded in death by his parents; brothers: Russel (Janet) Weber and Ray Weber; sisters: Alice and Dorothy Weber; and grandson, Clint McCoss.